NASA’s Mars Atmosphere and Volatile Evolution (MAVEN) mission blasts off tomorrow aboard a United Launch Alliance Atlas V rocket to study the atmosphere of the planet Mars. Despite the threat of bad weather delaying the launch, there is a lot of optimism that the spacecraft will be heading off to the Red Planet on Monday, 18 November 2013. Here’s hoping for clear skies to photograph the launch. Even Sam is getting into the act. Go Atlas! Go Centaur! 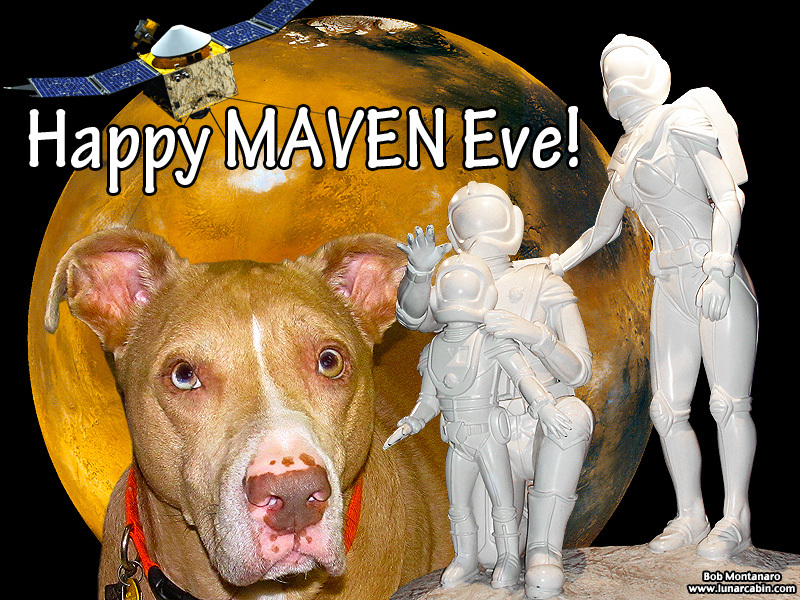 Go MAVEN!